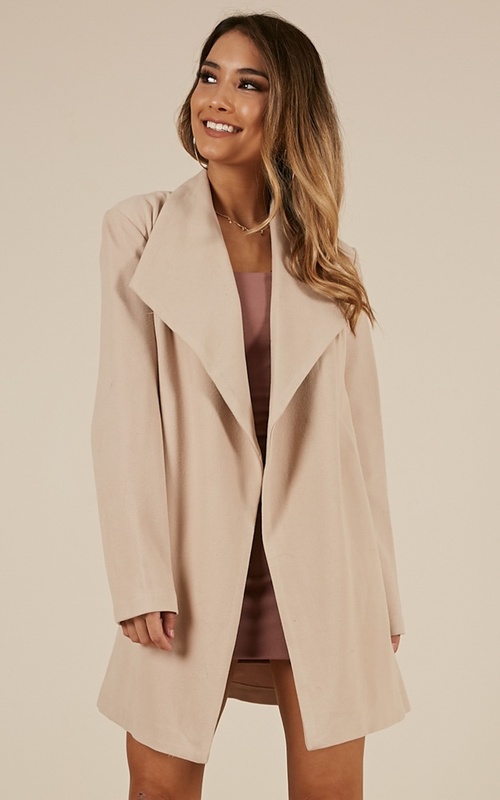 Stay warm and stylish in this gorgeous mid-length coat featuring cosy pockets and a thick waist tie belt, perfect for a cold night out on the town! This jacket is quite large if you are a small girl. Hi Christine, Thank you for your feedback! The model in the product photo is a true to size 8 and is wearing a size 8 in the product photo. It looks very oversized on her, which is the look of this jacket! 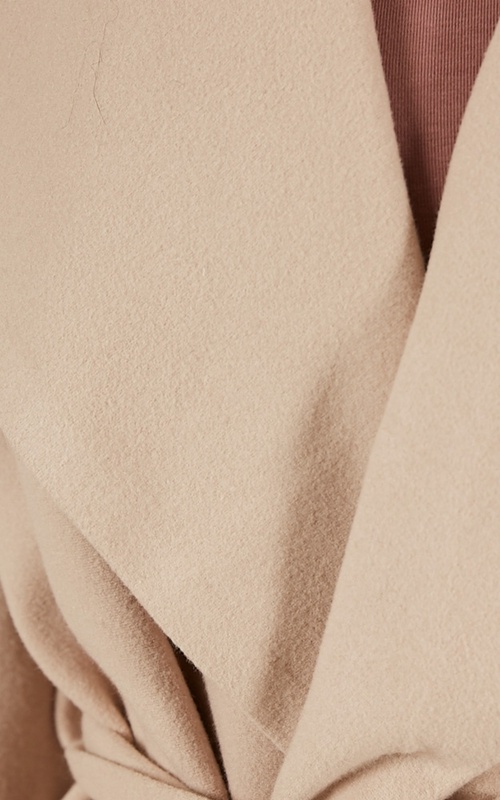 Gorgeous coat, I had it drycleaned to be safe and it shrank so much, so can no longer wear. I do not recommend drycleaning or washing it at all, or buy a larger size or two!